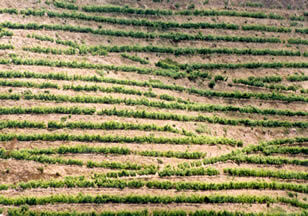 (...continued from part 1) Because of the economic importance of the port trade, table wines from the Douro have traditionally come a very distant second to port. Other than this historical artefact, though, there’s no reason why the Douro couldn’t produce world class table wines on a significant scale. The seeds for the current table wine revolution lie back in the 1940s, when Fernando Nicolau de Almeida, an oenologist with Ferreira, had a dream. He visited Bordeaux during the war and returned determined to produce a top quality table wine. n Here, the parallel with Penfolds’ iconic Grange is striking, which Max Schubert was devising at more or less the same time in Australia, against a backdrop of fortified wine production. Almeida finally realized his vision with the creation of Barca Velha, made for the first time in 1952 from grapes grown at the Quinta do Vale de Meão in the Douro Superior. This quickly became a classic: made only in great years, just 12 vintages have been released to date. 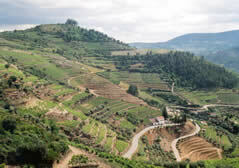 Note that Quinta do Vale de Meão is no longer part of Ferreira – Francisco Olazabal and his son (also called Francisco) make their own wine here – and Barca Velha has changed the source of its grapes to Quinta da Leida. Will it maintain its iconic status? We’ll see. These were Touriga Nacional, Tinta Roriz, Touriga Franca, Tinta Cão and Tinta Barroca. This work led to the development of Ramos Pinto’s flagship wine, Duas Quintas Reserva. If you add to this list Tinta Amarela and Sousão (a ‘teinturier’ variety, i.e. with coloured flesh), and you have the seven grapes that have been the focus of recent planting activity. 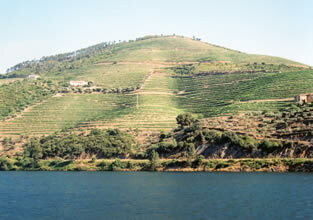 Many of the very important older vineyards, however, contain a more-or-less random mix of as many as 30 different varieties. It’s a happy state of confusion. n Since the 1970s there have been some new high-quality table wines produced, but it’s really just been a trickle. 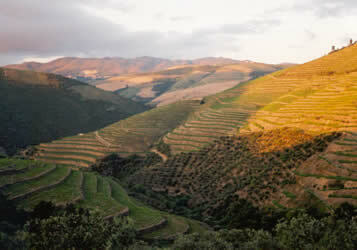 Now, however, we are seeing the beginning of an exciting new phase in the development of Douro table wines. There is a flood of new developments spurred on by the emergence of dynamic young winemaking talent and progress by some of the more established pioneers. At the forefront of this movement is Dirk Niepoort, who has added three exciting new table wines to his portfolio in the last couple of years. In June 2002 he invited me out to the Douro so that could I see for myself the progress that is being made with table wines, not just by him, but also by several other key producers. I will be writing up my trip in a number of stages, beginning with a dinner in London and culminating in an exhaustive tasting of wines from many of the key producers held on the last night of my visit. By the end, I hope you’ll have at least a grasp of the current situation here, and an appreciation of why I was so enthused by my visit.